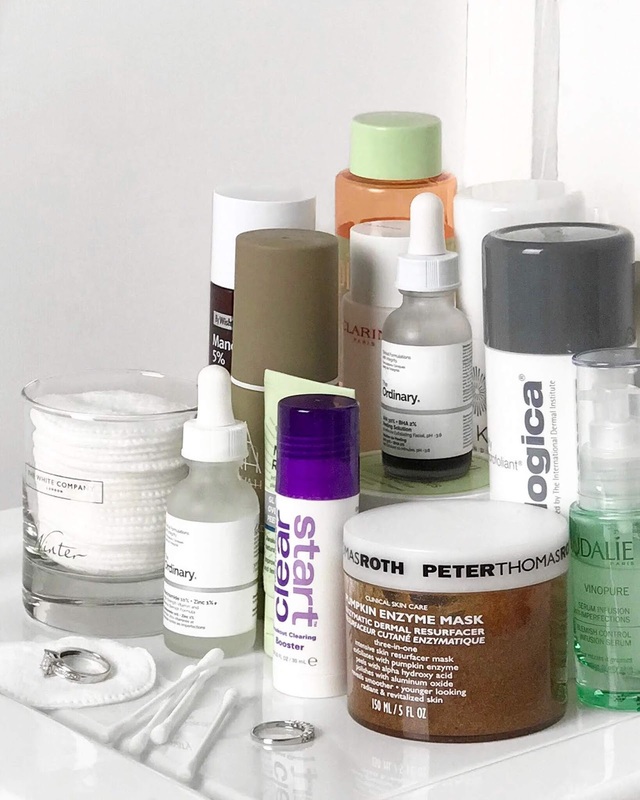 I introduced acids into my skincare routine quite early on when I think back. I didn't actually know I was using them until way later when I actually knew what they were but around the age of fifteen Salicylic Acid was a massive part of my skincare routine. 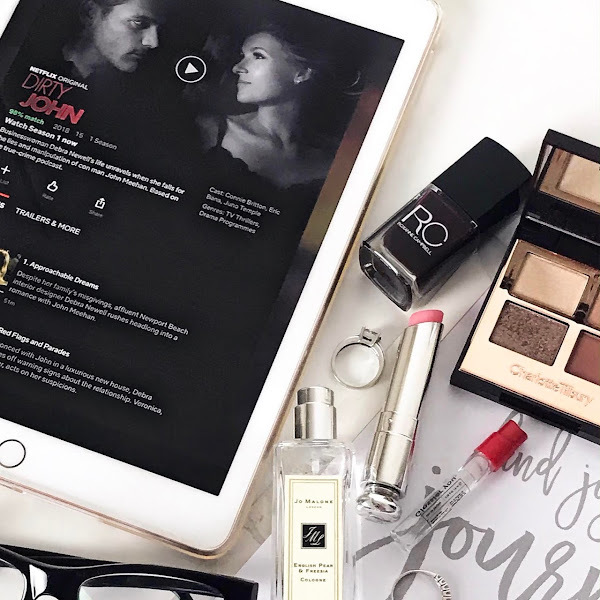 Since then I've discovered more advanced formulas and a wide range of products including serums, masks and even cleansers that are extremely effective but don't leave the skin feeling completely stripped. 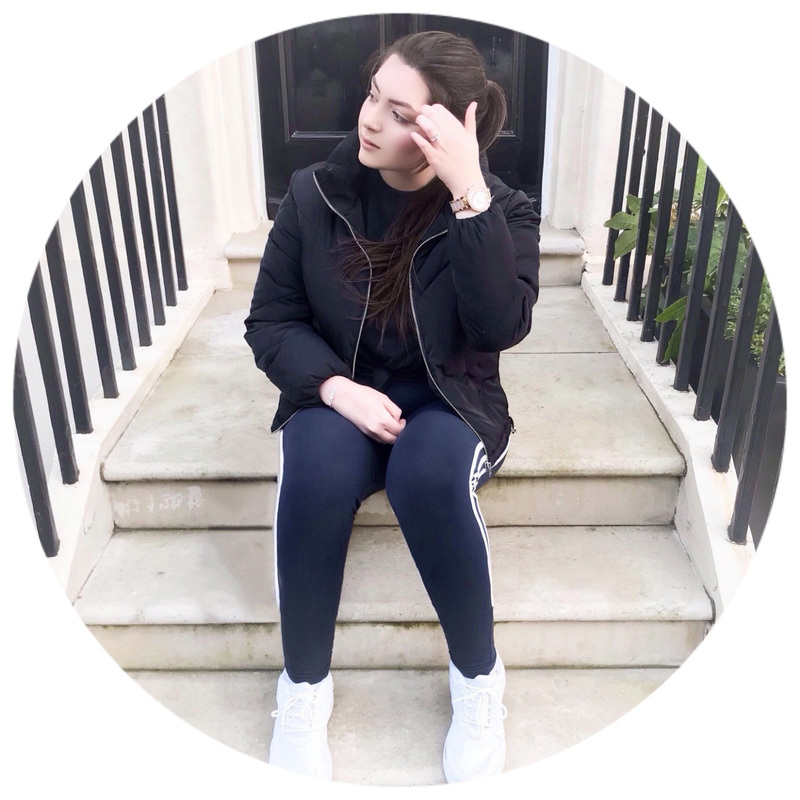 There are so many types from AHAs and BHAs to PHAs and many more and I know it can be a little overwhelming and scary knowing where to start so I'm going to run you through my top picks and tell you which ones are best for which skin concern. Get comfy, it's about to get technical! 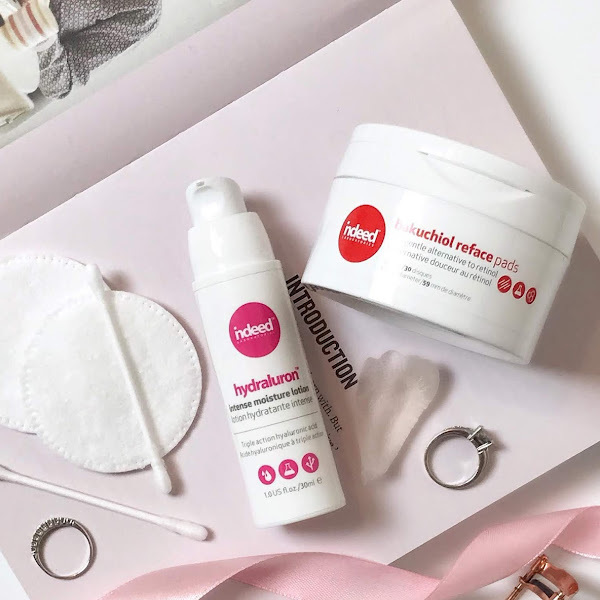 Glycolic Acid | This is probably the most popular offering and whilst it does do its job extremely well, I've found it to be a little too much for my skin (more on that later). Derived from Sugar Cane it is the smallest molecule of the AHA family meaning it's able to penetrate much deeper and breaks down the bonds between dead skin cells helping to increase cell turnover and even out the skin tone. I have a few Glycolic bits in my stash, the most used being the Pixi Glow Tonic which has been a go-to of mine for years as it's alcohol-free and enriched with Aloe Vera to keep the skin calm and hydrated. They also have an amazing Glow Mud Cleanser with 5% Glycolic and Glow Peel Pads which are much stronger than the tonic at a massive 20%! Alpha H Liquid Gold is another cult classic and is great if you have a slightly more mature skin and your main concerns are pigmentation, sun damage and ageing in general. I also love the Superdrug Naturally Radiant Glycolic Acid Peel which contains 1.4% Glycolic but is still super effective. I like to use it as a night-time serum to gently exfoliate and reveal brighter, healthier skin the next morning. It's also an absolute bargain at £5.99! The key thing to remember with acids but particularly Glycolic is to build up your tolerance and always wear SPF in the day! Salicylic Acid | I've used Salicylic for years and it tends to be the one I reach for when I have a lot of breakouts and congestion. It's usually derived from Willow Bark and is oil soluble making it ideal for people with oily/acneic skin. If you get blackheads, whiteheads or just clogged pores, in general, this is the acid to go for as it helps dissolve the dirt and unclog after just one use. I recently discovered the Caudalie Vinopure Blemish Control Infusion Serum which contains 100% natural Salicylic Acid, Grape Polyphenols and Organic Essential Oils. It has a beautifully thin, non-greasy texture that absorbs straight away, it also smells really fresh (thanks to the Peppermint Oil). I've been using it for a good couple months now and I've noticed a massive improvement in the congestion around my nose and chin and my skin also feels a lot smoother and more refined. If you prefer a physical exfoliator I've also been loving the Dermalogica Daily Microfoliant* which is a finely milled powder than gently buffs and polishes helping to unclog pores and reveal smooth soft skin! Mandelic Acid | This is a relatively new ingredient to me but out of all the acids I've tried this is definitely my top pick. It's an AHA that comes from almonds, but it has much bigger particles than others so it takes longer to penetrate the skin. This makes it slightly gentler and I've found that my skin really prefers it to Glycolic as I get less irritation and redness and also find the results last a lot longer. My favourite product is the By Wishtrend Mandelic Acid 5% Skin Prep Water* because it helps resurface, removes dead skin cells and gives me a lovely healthy glow. I also love that it's fat-soluble as it makes it another great option for those with super oily skin without being harsh or stripping. Lactic Acid | I've only tried a couple of formulas that contain Lactic but it's probably my second favourite pick. Naturally derived from milk, it works to dissolve the 'glue' between cells helping to gently slough away the dead skin that causes a dull, rough complexion. It's another gentle option and is perfect if you want to introduce yourself to acids and have a normal/dry skin. A little while ago I finished up a whole bottle of The Ordinary Lactic Acid 5% + HA 2% and apart from the weird smell it did an amazing job of exfoliating and refining my skin's texture. I used it as a day-time serum and it sat beautifully under my moisturisers and the Hyaluronic Acid helped my skin stay soft and plump! Another fave is The Ordinary AHA 30% + BHA 2% Peeling Solution which is an intense exfoliating treatment formulated primarily with Salicylic and Lactic so it's great for congestion, breakouts and dull skin that needs a boost. You only need to use it once/twice a week as a mask and I would recommend holding back from exfoliating every day when using this! And there you have a quick round-up of my favourite acids and what they do! I always notice a massive difference in my skin when I don't use acids and I highly recommend looking into them if you have any of the skin concerns I've mentioned!